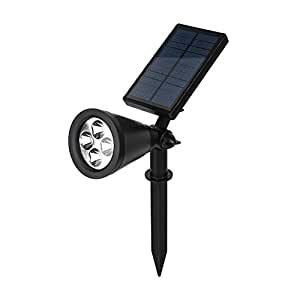 High quality full spectrum solar power LED plant light. New LED full spectrum Plant Grow Light with import LED chip, service life up to 50,000 hours. Build-in intelligent temperature control system and over-voltage protection, fast heat dissipation, more steady and safe than ordinary plant light. According to the actual conditions: wall mounting, pedestal mounting, ceiling mounting, hang in the air,pull in the ground etc It is recommended that the lamp installation height keep above 50cm from plant. Irradiate you desired place. Lamp can rotate 180°, set the light beam exactly where you want to irradiation, get better growth. Suitable for all stages of growth of plants. Simulated solar irradiation, light wavelength is 380-800nm, irradiation range is approximately 3-5 squre metre, luminous efficiency up to 90%, suitable for all stages of growth of plants, but also kill insect, speed up the growth, get higher yield.